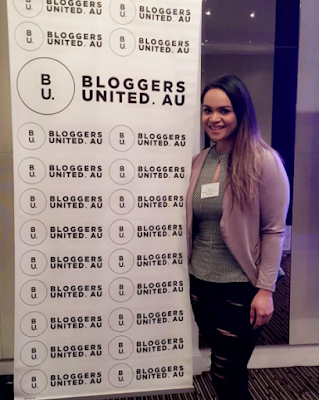 Bloggers United AU as you would know is Jasmine from Sweetaholic Beauty and my baby. It's something unimaginable to our minds that has grown so rapidly that we never would have imagined to be in the position we are in now until around 5 years after launch time, but in saying that we are beyond appreciative and are excited for the adventures of where Bloggers United AU will head too. Jas and I brought our baby back to Melbourne for its second event. Melbourne is a special one for us being it's our hometown and boy did we feel some real hard love from Melbourne this time around. We sold out within AN HOUR! 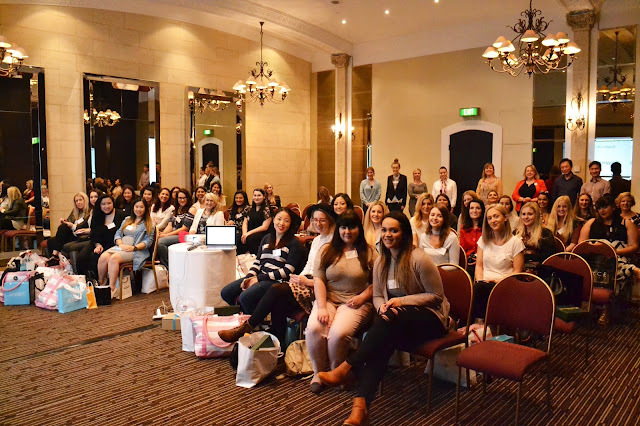 And had a wait list that warranted us to do another event all over again, with over 40 more bloggers wanting to come along. Located at the STUNNING five star luxurious venue of The Royce Hotel on St Kilda Rd just on the outskirts of main CBD area of Melbourne. The hotel boasts of many function rooms to use and as well as having many gorgeous accommodation stay rooms. 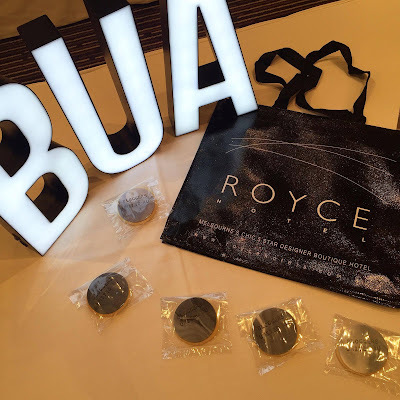 I was actually planning on staying at The Royce Hotel a few weekends before our event for my anniversary with Dan but we failed to prepare accordingly and missed out on the room we wanted. 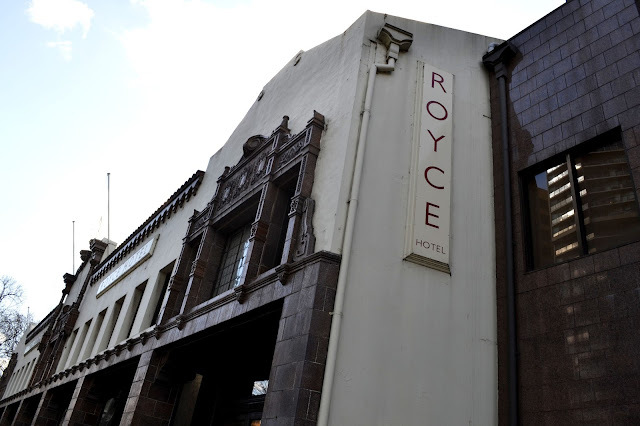 I will however tick off the stay at The Royce Hotel hopefully shortly and report back with a full review on the accommodation aspect of the venue. 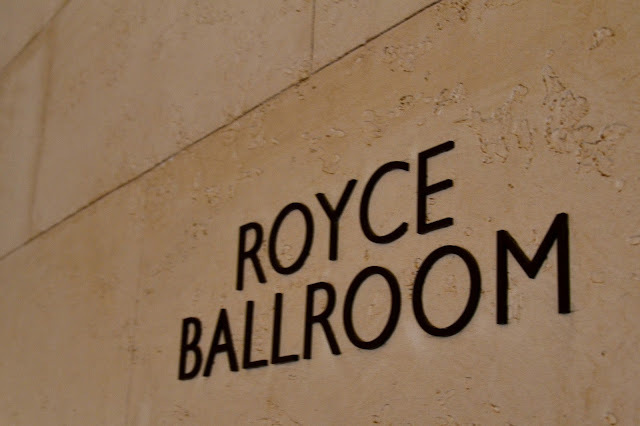 The Royce Hotel has this stellar function room: 'Royce Ballroom' in which we used for our event day. A super spacious function room that allowed us to really show Melbourne how far we have come with our events. Partitions in the middle of the room gave us the functionality of being able to create both our marketplace and our theatre style setup for presentations that go along with our events. Located at the back of the room we had the partition closing off for our presentations throughout the day. If you are ever thinking of where to hold an event The Royce should definitely be high up on that list. I can't commend the function staff we had on hand enough, they were absolutely phenomenal and go that extra mile to ensure we had our event run exactly the way we wanted it to. 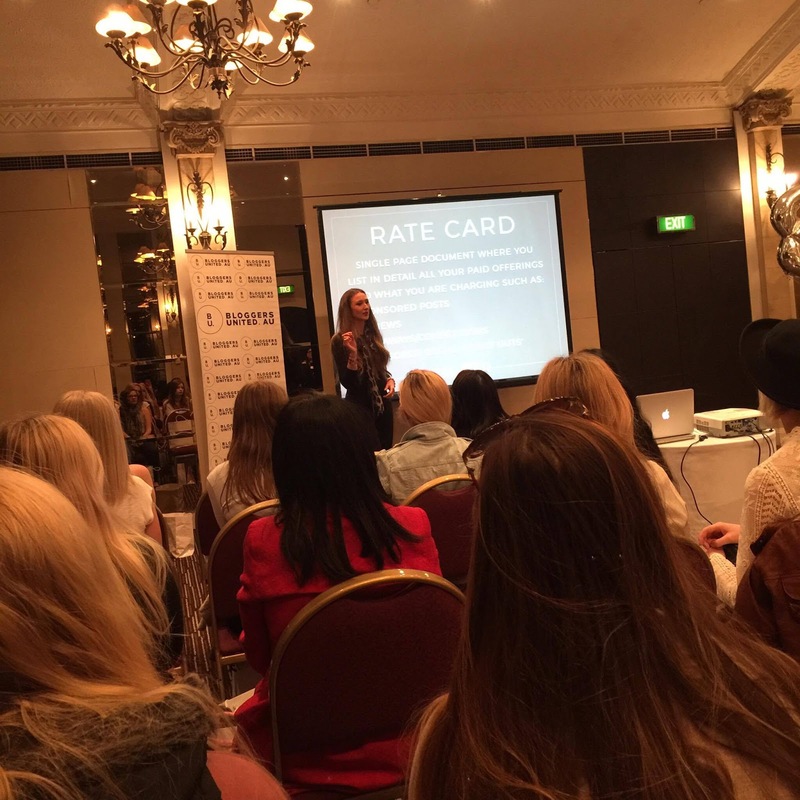 Cherie from Cherie Bobbins / Stay At Home Mum got up and did her thang; once again for us and talked about Media Kits, Working with Brands and Analytics. 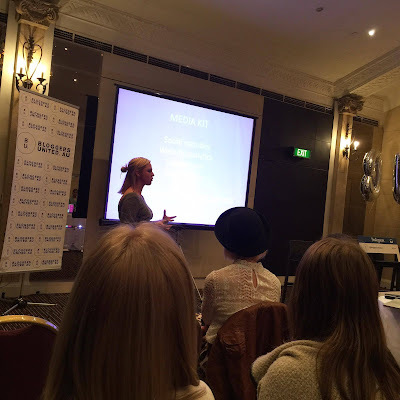 Cherie presented at our very first ever event back in Melbourne 2015 where all blogger attendees were left wanting more so we couldn't disappoint now without having Cherie get up their and gave us that motivational pushing presentation speech to us, to do more with our blogs and allow ourselves more opportunities through our values as bloggers. Bron from Flat Bum Mum gave us a presentation about How to increase your following, Power of hashtags and How to create a community from the use of hashtags. Bron has an amazing community through her hashtag #RealMumStyle in which has brought about much traffic both social media and blog wise. Bron gave us fabulous tips to be able to implement and think hard as to how we can take her tips and personalise them for use within our blogs to create more traffic. Sammy, Social Media Manager/PR from Vanilla Sugar presented to us on Brands working with Bloggers. Sammy is a woman of many incredible talents who both runs her own blog and is a PR guru so it was great to get insight from a person who knows both sides of the fence. 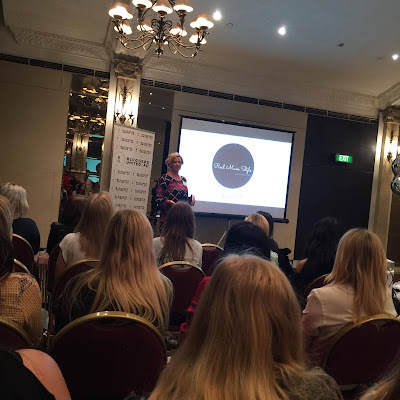 Sammy brought about what brands will look for when working with bloggers, how to approach brands and what you should be providing to brands when you want to work with them. 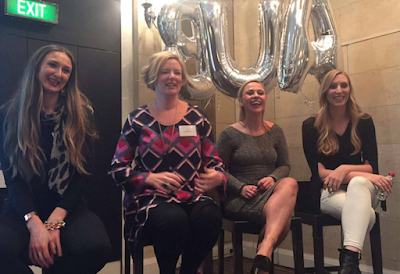 Melbourne saw us introduce our Bloggers United AU Panel which featured Cherie from Cherie Bobbins / Stay At Home Mum, Bron from Flat Bum Mum, Sammy from Vanilla Sugar and Lauren from Ego Skincare. A very strong and perfect panel team who allowed an open session to questions and queries within the attendees and a bit of chatter amongst themselves that would provide really useful insight in a non-formal environment. Many valid and very strong questions were answered and discussed that provided a really good outcome of thought to take away. As always our events couldn't run without the amazing support we have been given time and time again... Our marketplace brands in attendence on the day: Dr. Hauschka, Enbacci, Good Green Box, Sunsense, Boe Professional, The Healthy Mummy, V10 Plus and Weleda. 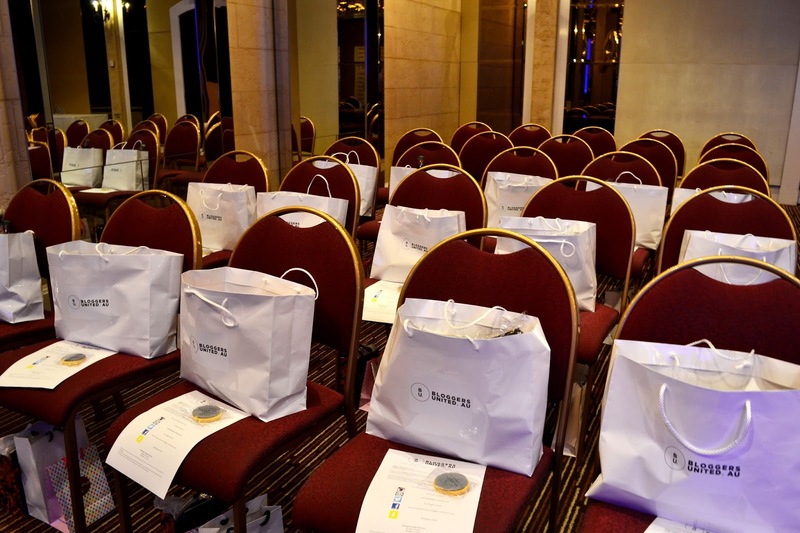 And to the many contributing brands who supported us through contribution for the attendees to take home with them: Vani – T, Artiste, Anathoth Farm, The Organic Trainer, White Glo, Dove, TBX – The Beauty Exchange, Glam by manicare, Cetaphil, Rosehip PLUS, Luv Ur Body / Luv Ur Skin , Avon / Avon LUXE, Shanghai Suzy, Moogoo, Furless Cosmetics, LUSH, Slim Secrets, John Frieda, MUD, Ulta3, Thankyou, Go Natural and L'Oreal Professional. Thank you all so much from the bottom of our hearts, you've support means more than you will know. AND the biggest THANK YOU goes out to each and every attendee that come along - without the drive from you guys we wouldn't be in the position we are in today. Thank you, you inspire Bloggers United AU to do great things each time for you all. 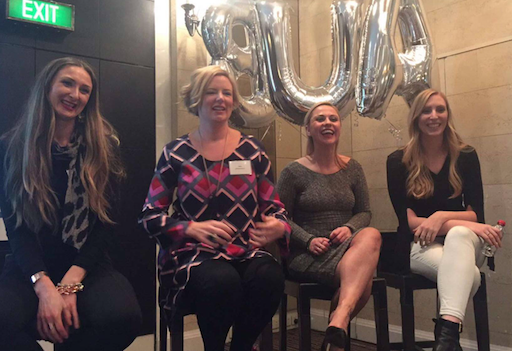 What a superb event girls! I absolutely loved it and will be supporting your next Melbourne one too. 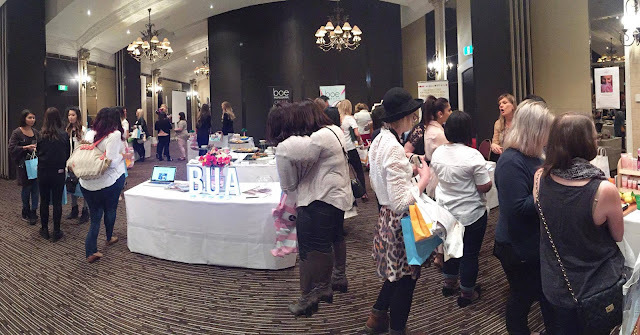 I am still ploughing through all those goodie bags and loving the brands.